If you’ve ever considered building a website for your business or updating the one you have, you’ve likely heard of WordPress. Since their initial launch in May of 2003, WordPress has grown to power over 75 million websites. Though they started as a simple blogging platform, WordPress has become a multi-purpose publishing tool for anything from a simple hobby blog to highly complex blogs and e-commerce websites like CNN and Best Buy. What is it about the WordPress platform that makes it the top choice for publishing content for businesses across the Internet? When you have a WordPress website, adding and editing content is as easy and logging in. Their entire interface has been built to intuitive and easy to use. The WordPress visual editor is reminiscent of typical word processors, with one-click tools for text formatting and alignment built in. Organization features such as tagging and categorization are standard for each of your blog posts should you need them, but never required. A basic WordWordPress ress website requires no coding knowledge to use. Once your site is setup and installed, you can add and edit content, post images, embed media and more using the simple WordPress editing interface. If you want additional functionality, there are over 40,000 plugins in WordPress’ plugin directory to help you. Using such a popular platform comes with a lot of perks. Namely, the fact that both WordPress and their community is very active in terms of support. 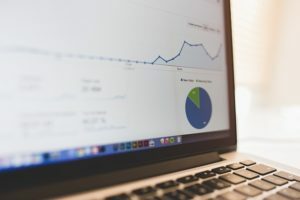 A simple Google search can bring you thousands of articles on how to do anything from writing a simple blog post to creating an e-commerce store right on your website. Anything you want to do has likely been tackled by someone before, and if it hasn’t there’s an extensive community there to help and support you. Though WordPress was initially created with blogging in mind, it’s grown into an exceptionally powerful platform that can support thousands of pages of content, media, products and more. With your WordPress website you can sell products, show your portfolio, host events, book appointments and more! The platform itself was designed to be extended upon. If you have an idea, WordPress can do it! Whereas as many other website platforms that boast ease of use fail to provide the proper tools to optimize your website for search engines, WordPress includes many of those features right out of the box. Google’s own Web Spam team has gone on record to say that even without any extra bells and whistles, WordPress is a great search engine optimization tool. WordPress takes security very seriously. Though one could argue that being such a popular platform opens one up to more attacks, WordPress is vigilant and dedicated when it comes to hardening their service and staying on top of potential vulnerabilities. When you have so many users from Fortune 500 and Government level companies, security has to be your top priority! Content is so much more than text and images, especially in the modern age. 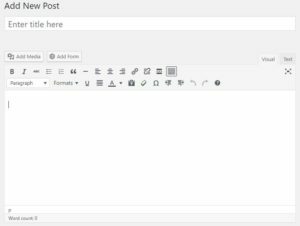 Through the visual editor, WordPress lets you easily add all types of media content right into your page. Anything from YouTube videos to Twitter Statuses can be added with a simple copy/paste. Want to add media for your users to download, instead? WordPress comes with a “Media Library” feature out of the box, which lets you upload images, music, PDF files and more to make available to your users. The web is embracing the need to make websites view able to all ranges of devices, from your mobile phone right up to a big screen TV, and WordPress has embraced that. Though you can customize your website to use any design you desire, many default and downloadable themes are built responsive, meaning they’ll adjust their content to fit whatever device they’re being viewed upon. Whether your site gets 2 views a month or 2 million, WordPress can handle it. With a proper foundation, WordPress can handle large amounts of traffic without skipping a beat, as companies like The New York Times, TechCrunch and Mashable can attest to! Do you have a service outside of WordPress that you want your website to accommodate? There’s a plugin for that! WordPress is built to be flexible and extendable. Thousands of reservation systems, real estate services and e-commerce applications can be built to integrate seamlessly with your WordPress website. Are you ready to make the jump to WordPress? We can work with you to create the perfect WordPress powered online presence for your business. Contact us today to discuss our affordable website design packages. 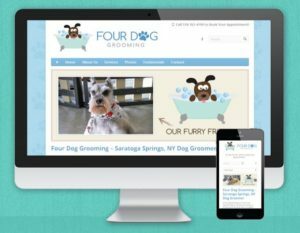 PreviousPrevious post:What’s New: SPCA Animal Control Web Application Tool!NextNext post:Do I Really Need a WordPress Maintenance Plan?